We are proud of our diverse, talented faculty. We are proud of our diverse Faculty and Staff! Please roll over any image to read their bios. 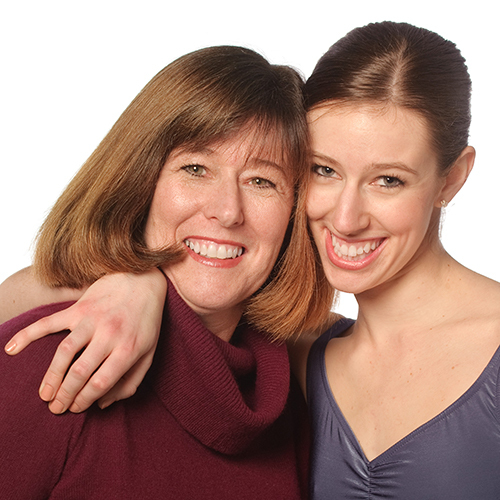 Lindsay trained at Acton School of Ballet for 12 years under the directorship of Kathryn Anderson and continued her studies at Butler University where she received a B.S. in Dance and Arts Administration. While at Butler she performed soloist and principal roles including Sugar Plum Fairy in The Nutcracker, Aurora in The Sleeping Beauty, as well as in George Balanchine’s Walpurgisnacht and Nacho Duato’s Por Vos Muero. She also had the opportunity to study and perform internationally at the Polish National Ballet School in Warsaw, Poland and at the Rimsky-Korsakov Music Conservatory in St. Petersburg, Russia. Upon graduation, she joined Colorado Ballet where she performed several Corps de Ballet roles and worked with world-renowned choreographer Steven Mills on Light, The Holocaust and Humanity Project, as well as Glen Tetley’s Rite of Spring and George Balanchine’s Theme and Variations. Lindsay has worked in Development and Fundraising for several prominent dance organizations including American Dance Festival in Durham, NC, Charlotte Ballet, and most recently worked for several years as the Assistant Director of Donor Relations at Walnut Hill School for the Arts. Lindsay served as Regiseusse for Commonwealth Ballet for four years where she is now a member of the Board of Directors and performs as the Sugar Plum Fairy for their performances of The Nutcracker. Juliana holds a Masters of Fine Arts degree from The College at Brockport, State University of New York where she specialized in Dance Performance and Choreography. She also received a Bachelor of Science degree with honors in Dance Education from Radford University. She lives in Boston where she is Artistic Director of Turning Key Dance, performing and presenting her choreography nationally and internationally. Her work has recently been showcased at the American School in Switzerland, The Commonwealth Ballet Company and at the Rochester Fringe Festival. She also dances for the bi-coastal company, VVWdance, under the direction of Vanessa Van Warmer, and has recently performed at the Pasadena Dance Festival, Ticino en Danza Festival in Switzerland, Core Project Chicago, and the DUMBO Festival NYC. Juliana has also studied and performed with Mariah Maloney Dance, performing at Jacobs Pillow and the Rochester Fringe Festival. Rebecca trained at the Middlesex Ballet Academy, the Academy of Ballet Arts, and completed her pre-professional training at Ballet Workshop of New England uner Jacqueline Cronsberg. She has studied with Peter Stark, Fernando Bujones, Gelsey Kirkland, Adam Luders, John-Pierre Bonnefoux and many others. She danced professionally with the Orlando Ballet, and has since taught at New England Civic Ballet, Concord Dance Academy and elsewhere in Massachusetts. Melenie is a graduate of the Acton School of Ballet and a former member of the Commonwealth Ballet Company. She received a Bachelor of Fine Arts in dance performance from The Boston Conservatory at Berklee. She started out her professional career with Urbanity Dance and currently dances with three other Boston-area based companies; Pantos Project, Luminarium Dance Company, and Turning Key Dance. Throughout her career, she has performed works by prominent choreographers including José Limón, Alwin Nikolais, Thang Dao, and Larry Keigwin. She has performed in venues such as the Institute of Contemporary Art in Boston, the Jacob’s Pillow Inside Out Stage, and events such as the APAP Conference in New York City, TEDxCambridge at the Boston Opera House, and many other festivals along the East Coast. Melenie currently serves as régisseuse for Commonwealth Ballet. Mrs. Moncrieff spent many years working for Arthur D. Little, Inc. first as a scientist in cancer research and then as a Senior Manager in their Chemical Consulting practice. Susan has had many volunteer responsibilities including PTO Chair for the Conant Elementary School in Acton, Girl Scout Leader and as the Volunteer Coordinator for Danny’s Place. For the Commonwealth Ballet, Susan served as the Volunteer Coordinator, the Producer for their annual production of The Nutcracker, and eventually joined the Board in 2005 where she served as Chairman before moving to North Carolina. While in NC she was active in the arts and chaired Charlotte Ballet’s annual auction for two years to raise money for their Outreach program. Susan and her husband Ian returned to MA in the spring of 2018 and are excited to be involved once again with the Acton School of Ballet and CBC. Kathryn came to Acton School of Ballet from Walnut Hill School where she served as Director of the Community Dance Academy for 14 years. She was also the Founder and Director of Walnut Hill’s popular Youth Summer Dance Program. She was a member of the faculties of Pittsburgh Youth Ballet and the American Academy of Ballet in Buffalo, NY, and spent five summers on the faculty of Chautauqua Institution. Ms. Stark received her dance training at North Carolina School of the Arts, Pittsburgh Ballet Theatre School, and as a child in Pittsburgh with Jean Gedeon and Eduard Caton. She danced professionally with Ballet Met in Columbus, OH and was a principal dancer of Southern Ballet Theatre (now Orlando Ballet) where she performed roles including “Lisette” in La Fille Mal Gardee and lead roles in Balanchine’s Valse Fantasie and Allegro Brilliante. Joseph is on the faculty of Boston Ballet and Northeast School of Ballet. He has served as Director of Portland Ballet’s Summer Dance Program and has taught master classes and workshops at ballet schools across the country. 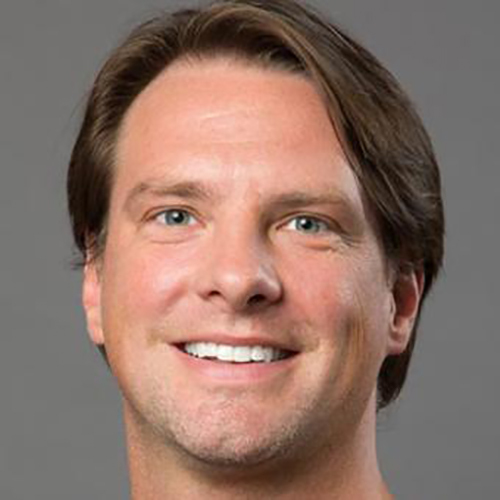 Mr Jefferies is an award-winning choreographer creating over 30 works for companies including Ballet Memphis, Miami City Ballet, Peoria Ballet, Ballet Trockadero, Harid Conservatory, Ballet Yuma and Walnut Hill School for the Arts. He has won the RDA Emerging Choreographer scholarship twice and had his work selected and performed for New York City’s Ballet Builders Showcase and for the RDA National Convention in Montreal, Canada. As a professional dancer, Mr. Jefferies was a member of Ballet Memphis dancing the lead roles in Swan Lake, Giselle, Coppelia and Cinderella. As a member of Les Ballet Trockadero de Monte Carlo he toured the world performing in over 25 different countries. Chip began his dance training in Madison, Wisconsin where he directed Jazzworks Dance Theatre and choreographed for Choreographer’s Consortium and the Madison Savoyards. Since coming to Boston in 1985, Mr. Morris has performed with the modern dance company, Choreo, and danced as a soloist with The Dance Prism. Mr. Morris has choreographed for several companies in the Boston area including the Harvard-Radcliffe Dance Company and Wheaton College. With Kathryn Anderson he is co-founder of the Commonwealth Ballet Company and currently serves as its Artistic Director. He has choreographed more than 25 ballets, including full-length productions of Dracula, Beauty and the Beast, Hans Christian Anderson’s The Nightingale, and The Secret Garden. Mr. Morris holds a PhD in mathematics from the University of Wisconsin, Madison. Denise Pons has been a professional ballet dancer and dance instructor for over 25 years. Her professional career ranges from the San Francisco Ballet, Boston Ballet for 14 seasons, and was a founding cast member of the White Oaks Dance Project with Mark Morris and Mikhail Baryshnikov. 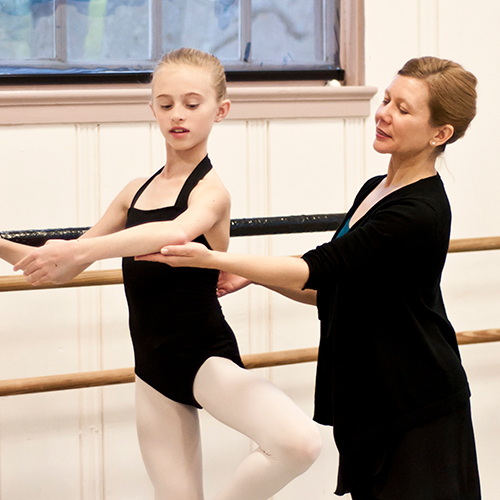 Her teaching career began in 1981 with the Boston Ballet and has continued to this day, with numerous companies and programs, including the Walnut Hill School and since 1994 with The Boston Conservatory. As a dancer, some of her more notable roles include Swanhilda in Coppelia, Murtha in Giselle, the lead in Miss Julie opposite Fernando Bujones, Lady Capulet in Cho San Goh’s Romeo and Juliet, and the Boston Ballet’s Nutcracker, performing the roles of Snow Queen, Sugarplum Fairy and Coffee. She toured America and Europe with Rudolf Nureyev in Don Quixote, performing lead roles of Kitri, Kitri’s Friend and Street Dancer. She also was directed by Agnes de Mille in Rodeo, performing the role of Cowgirl. Denise began studying under Joseph Giacobbe in New Orleans and performed in his company the Delta Festival Ballet from 1972-1977. She studied dance at TCU, performing with the Fort Worth Ballet prior to joining the San Francisco Ballet under Director Lew Christensen and Michael Smuin. 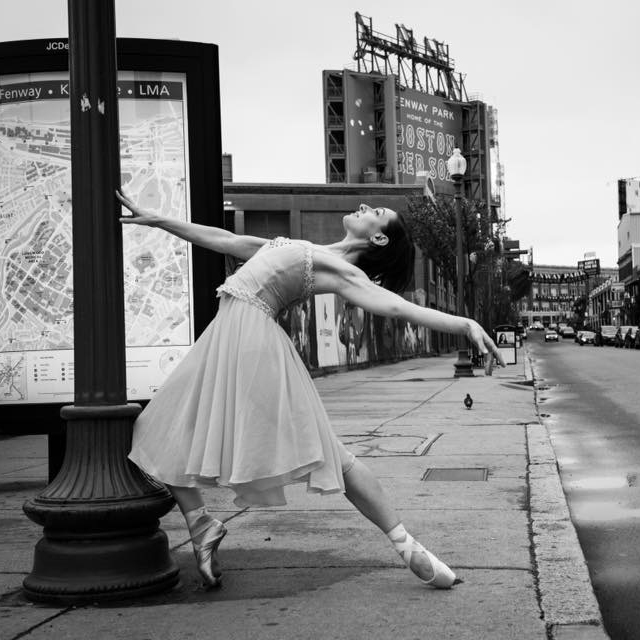 Following a year with Ballet Oklahoma she joined The Boston Ballet in 1981 under Director E. Virginia Williams. For the next 14 years she performed under Directors Violette Verdy, Bruce Wells and Bruce Marks. Over her career Ms. Pons has partnered with dance luminaries Rudolf Nureyev, Eric Bruhn, Mikhail Baryshnikov, Fernando Bujones, Patrick Armand and Simon Dow. She has studied with and been choreographed by: Agnes de Mille, Maurice Bejart, Twyla Tharp, Mark Morris, Elisa Montes, David Bintley, Natalia Dudinskaya (“the glasnost Swan Lake”), Niels Bjorn Larson and Natalia Karassanova. Additional roles performed by Ms. Pons include: Odette/Odile in Swan Lake, Fernando Bujones’ Esmeralda Pas de Deux, Bruce Marks’ Inscape, William Forsythe’s Love Songs, and David Bintley’s Allegri Deversi. She was chosen to perform the leading role by Mark Morris for his world premier of Mort Subite, by Elisa Monte for her premier of VII for VIII, and by Monica Levy for her premier of Beneath the Waves. She also performed lead roles in Antony Tudor’s Jardin aux Lilas, Sir Fredrick Ashton’s Monotones and La File Mal Gardee, and George Balanchine’s Who Cares?, Agon, the Four Temperaments, Concerto Barocco and Allegro Brilliante. As a teacher, Ms. Pons has taught extensively throughout the country. Her background includes Vaganova and Cecchetti techniques, extensive training in tap, jazz, flamenco and modern dance. She has been a frequent guest artist for Dance Masters of America, the dance faculty of Harvard Dance, the Boston Ballet Center for Dance Education, and is currently a Professor at the Boston Conservatory at Berklee, and the Acton School of Ballet.